Seemingly endless panoramas, the rushing of the waves and the ultimate feeling of freedom. That is what living in Duineveld, an exclusive development just beyond the dunes in Noordwijk aan Zee is all about. 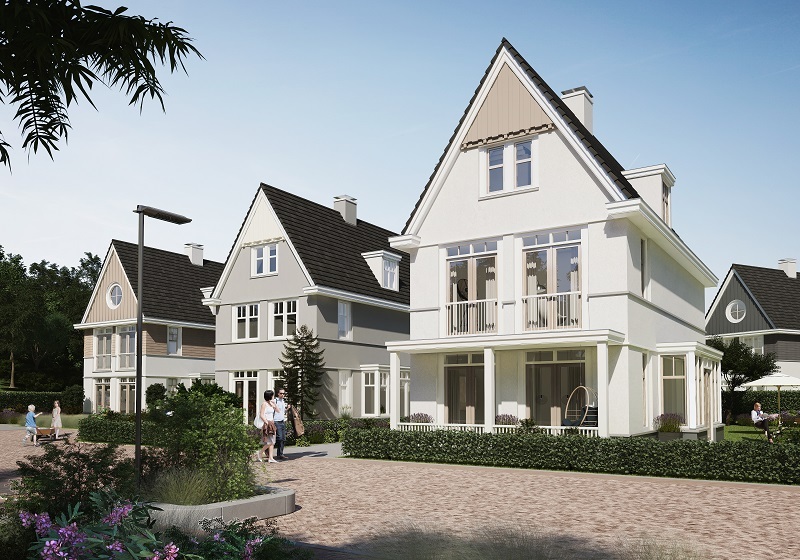 Imagine this: your own characteristic apartment, built in the architectural style specific to Noordwijk, but with a Hamptons feel, where you can enjoy easy seaside living, every day. A quiet and spacious neighborhood behind the dunes on Nieuwe Zeeweg (Noordwijk), surrounded by splendid nature and the occasional lovely villa. This is the picturesque décor for daily life in Duineveld. Here you hear the sighing of the sea, feel the sandy sea breeze, taste the salty water and smell the fresh air of the woods and the dunes. In short, an absolute treat for all the senses! Preparations have started for the sale of the 33 homes – townhouses, semi-detached and detached villas – of Duineveld’s third phase. The aim is for the last of the Duineveld houses to be on the market this Fall. The basis for the homes and their options are virtually the same as those for the phase-1 homes. Would you like to know more about the types? Then visit our site and click on one of the photographs to know more about that particular type of home. Be sure to contact their realtor for more information.